There are two words that can describe the papermaking process: fascinating and complicated. Paper products are fundamental to our everyday lives, but how often do we actually think about how it is made? Prior to joining GreenBlue, the answer to that question for me, was never. When most of us think about paper, we think about forests and trees: where the paper comes from. 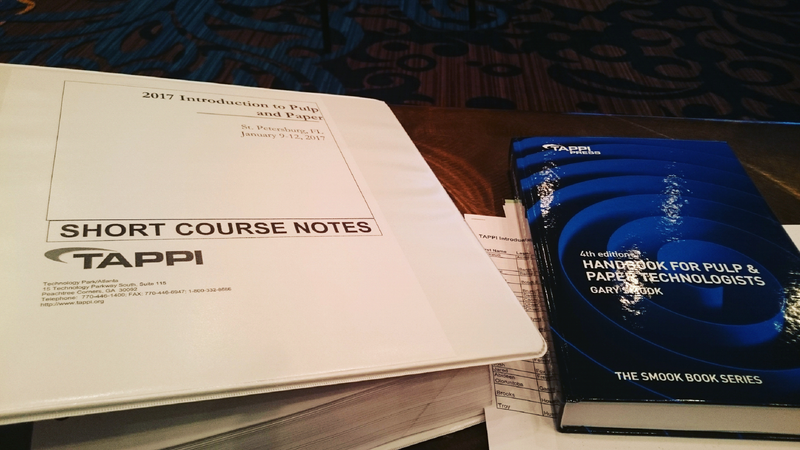 I had the privilege of recently spending four, eight-hour days participating in TAPPI’s Introduction to Pulp and Paper Technology short course. TAPPI is a professional organization dedicated to the pulp and paper industries. It was during this course that I got an in-depth look at the pulp and papermaking. If you ever thought pulp and papermaking was a simple process, think again! Pulp and paper are developed through a soup of chemical, physical and mechanical processes. While it is relatively easy to sum up the function of each part of the process, as soon as you go beneath the surface, things get a lot more interesting and complicated. 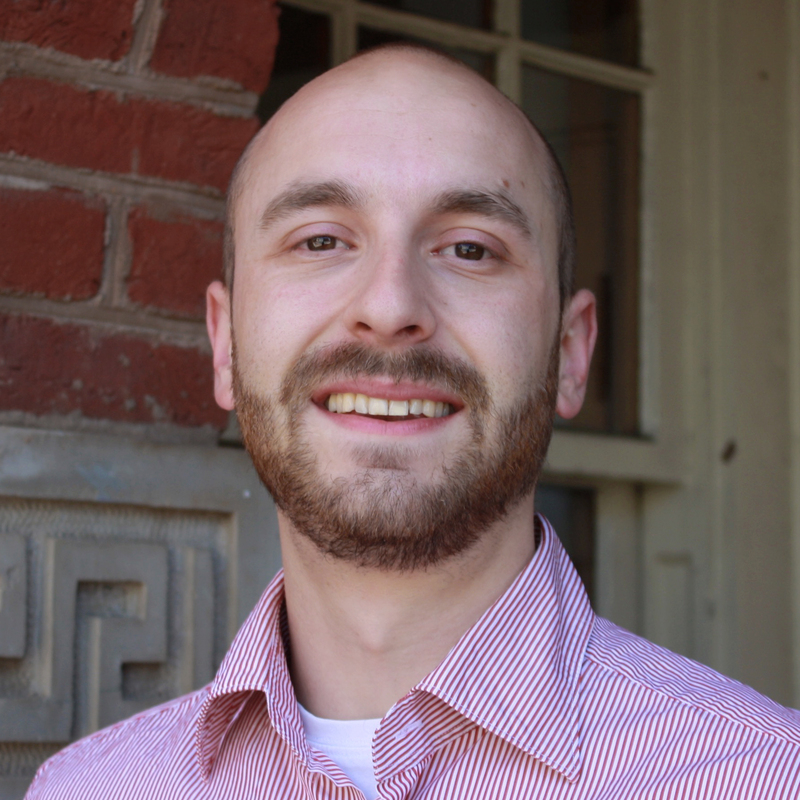 The course is taught by Dr. Mike Kocurek, one of the world’s most recognized educators in the pulp and paper industry. Dr. Kocurek was inducted into the Paper Hall of Fame over a decade ago, and he’s taught TAPPI’s Intro to Pulp & Paper course for over 33 years. Dr. Kocurek continues to be a great instructor exhibiting a level of knowledge that most can only hope to obtain in a lifetime. Day One: Dr. Kocurek opened up the day with a light intro on state of the industry, highlighting global market trends and statistics. Following this, the real content began with a discussion on the raw material used for papermaking: wood fiber. Different species of trees – hardwoods/softwoods – pulp differently from one another and as such have implications on the paper properties. After trees have been harvested, their first stop is the woodyard to be debarked, chipped, and then cooked in pressurized vessels called digesters. Another way to think about this process is to think about cooking pasta, first you start with the hard noodles, then you cook it until it’s soft and ready to eat. 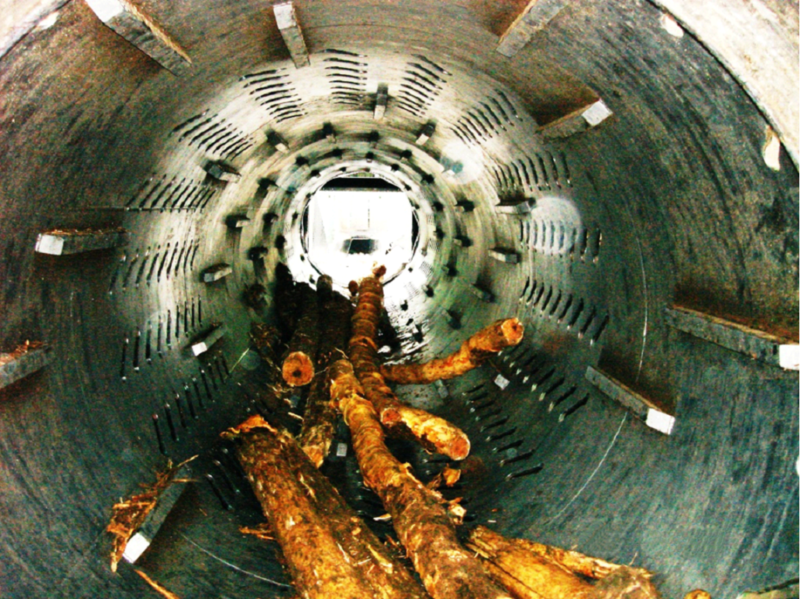 Only in this process, you cook the wood fiber in a medley of chemicals to make pulp. 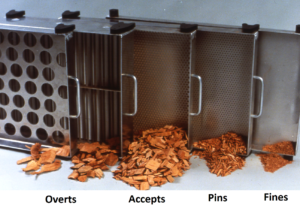 Our activity of the day involved sorting out a wood chip pile into the various chip quality categories, which can be seen in the image below. We spent the second half of the afternoon with an overview of the pulping process, where we primarily learned about the Kraft process, the dominant pulping method in North America. Day Two: Our second morning began with a segway into pulp processing and bleaching. Before pulp can be turned into the beautiful, bright white color, it must first be processed by washing, screening, and cleaning it. After being processed it is then time for the bleaching process. Initially facilitated by chlorine chemicals, during the 1980s scientists began detecting chlorinated compounds in fish downstream from paper mills. Given the health risks of such toxins, the industry phased out their use of chlorine. Today, the dominant method is Elemental Chlorine Free (ECF). We spent the afternoon exploring paper recycling, which provides approximately the United States with 50% of its total fiber. This topic was particularly interesting in how it relates to our work as an environmental nonprofit, in recent years it’s been interesting to see that with the proliferation of single stream recycling and overall increases in recovery, the quality of the paper recycling stream has suffered from contamination, making high quality recovered fiber a commodity in high demand. Day Three: This can also be referred to as “the day that went over my head”. We opened up the morning with a discussion on paper grades and properties, followed by the next step in the process: stock preparation and forming. Stock prep and formation is a multi-step process that involves a lot of big machines and a lot of mechanical engineering. Of course, this is all very interesting and relevant for those involved in papermaking operations. However, while it is possible to get basic grasp on the topic, safe to say it’s something probably best left to the chemists and engineers! Day Four: Our final day began with the pulp being fully prepped and ready to be pressed, dried and rolled into paper. While this process, like the others, is highly technical, it is evermore fascinating. After the stock has been prepared and formed, it is still full of water, so then it needs to be pressed together and dried. These are massive machines, to give you an idea. It’s from these massive machines that the paper you have sitting on your desk comes from today. After the paper has been dried and rolled, it is then ready to be shipped out and/or converted into any kind of paper product imaginable ranging from a magazine to a corrugated box. After completing this 32-hour course, my knowledge of papermaking went from being basically a general idea of the process, to being conversant on a technical level.Additionally, as I was sitting in the Tampa airport waiting to board my flight home I realized that, while I was leaving a work event, it felt more like leaving a group of friends. Every day after the training sessions, I had the opportunity to engage with mill-level industry employees which was both enjoyable and enlightening experience. I would highly recommend the Introduction to Pulp and Paper Technology course to anyone who is looking to get a look under the hood of pulp and papermaking operations. Despite having almost no background knowledge in this field, Dr. Kocurek presents the information in a digestible way that, even for the most novice of attendees, is still relevant and useful. In addition to this course, TAPPI offers a wide range of continuing education programs for everyone in the pulp and paper industry, click here to view the events calendar for 2017.